We’ve talked about Easter crafts for your kids, but sometimes you need some crafting time just for mama. 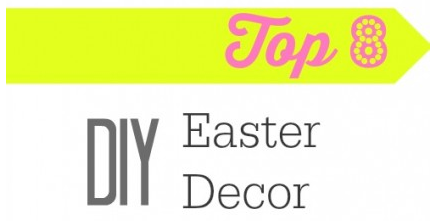 If you’re planning any Easter get-togethers, you may already be thinking about how you’re going to decorate. I searched Pinterest and found some of my favorite ideas. One of my favorites is #3: the Hanging Succulent Garden. You build a box, attach a wire “net,” fill the box with soil and fill it with succulents. I would love to make a cross out of the wood rather than a box. It would be the perfect decoration not only for Easter, but year round. See more decor ideas on our Pinterest board.